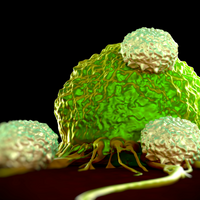 The results of two small clinical trials show that the immunotherapy is effective for multiple myeloma patients, at least in the near term. 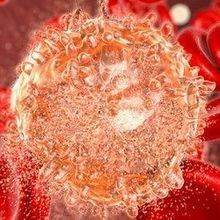 Multiple myeloma cellsWIKIMEDIA, KGHNanjing Legend Biotech’s chimeric antigen receptor T-cell (CAR T) therapy induced some level of remission within two months in 33 of 35 multiple myeloma patients in an ongoing clinical trial, according to results presented Monday (June 5) at the American Society of Clinical Oncology (ASCO) meeting. The company also reported that, of the first 19 patients to reach the four-month mark after treatment, 14 were in complete remission. “These are impressive results” but time will tell if they last, Len Lichtenfeld, deputy chief medical officer of the American Cancer Society, told the Associated Press. Multiple myeloma "is a disease you can treat pretty well with other drugs, but this could be long-term remission," Bruce Johnson, chief clinical research officer at Boston's Dana-Farber Cancer Institute and ASCO's incoming president, told Reuters. 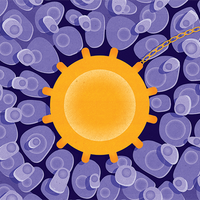 The Chinese biotech’s CAR T candidate, LCAR-B38M, targets B-cell maturation proteins, which are found on the surface of multiple myeloma cells. Bluebird Bio and Celgene Corporation’s investigational CAR T therapy, bb2121, also targets these proteins, and the two companies also announced updated results of their ongoing study on Monday—stating that all 15 evaluable multiple myeloma patients in their trial responded to treatment. 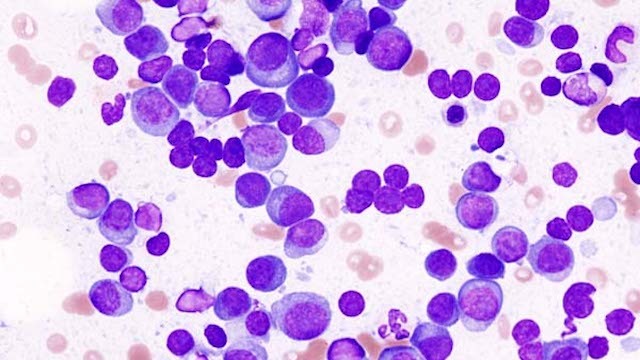 “Although these data are still early, it is encouraging that no patient in the active dose cohorts has had myeloma progression,” David Davidson, the chief medical officer of Bluebird Bio, said in a statement. Safety has been an issue for CAR T therapies in the past, but both Legend Biotech and Bluebird/Celgene reported good safety profiles for their drugs. In Legend Biotech’s trial, 85 percent of patients experienced cytokine release syndrome (CRS), a common complication of CAR T therapy, as did 71 percent of patients in the Bluebird trial. However, most cases were mild, and the severe cases were successfully treated with anti-inflammatory drugs. Legend Biotech plans to enroll a total of 100 patients in China and extend the study to the U.S. next year. Nick Leschly, Bluebird’s chief executive officer, told the Associated Press that his group plans to test its drug in 20 more patients.